Yet some of the most important questions during an interview come from the interviewee. After all, the interviewee has to make sure the company and position are right for her/him, too. As members of the class of 2017 prepare seek jobs in PR and communications, here are questions they may want to ask during their upcoming interviews. What is the day-to-day like for this position? You’ll obviously want to know what the job entails. Take this question one step further and ask if there will be an opportunity to talk to someone who works in a similar position. HR and managers often conduct interviews; however, they may be removed from the daily routine of entry-level positions. Will I work in a silo or collaborate with many people? Working in silos is very common within PR. Even if you’re applying for a job at a small company, you may end up working with very few people. This is a key question if you value diversity. What are the advantages of joining a company of this size versus one smaller/larger? This is important, especially if you’re interviewing at multiple companies, so you can compare responses and figure out the best fit. Smaller companies may say they’ll expose you to much more from the outset and that you will have direct access to senior management and mentors. Larger companies may tout a formal training program or professional perks such as extensive travel. In line with this, you may want to think about the differences between working in-house for a brand versus at an agency for many clients. How does your performance review process work? Every company evaluates employee performance, but frequency and procedures vary. Reviews can range from a casual process to a formal system that provides you with specific feedback and development goals. Learning how you’ll be evaluated will be important to achieving your desired career path. How much opportunity is there to advance? Assuming you’re looking for a career and not just a job, this is important to look at from a career trajectory position. What is the procedure for promotions? Think about where you want to be in five years. Can you get there with this company? What is your company culture like? Hopefully it’ll be described as supportive, friendly and motivating. Interviewers should be transparent about things like stress levels and demanding hours. If not, ask. It’s important to get the full picture upfront. How nimble is your company and does it have plans to adapt to the changing industry landscape? This one will likely impress. But, be prepared to field questions such as: “Are there specific changes you’re thinking of?” Arming yourself with research is recommended. 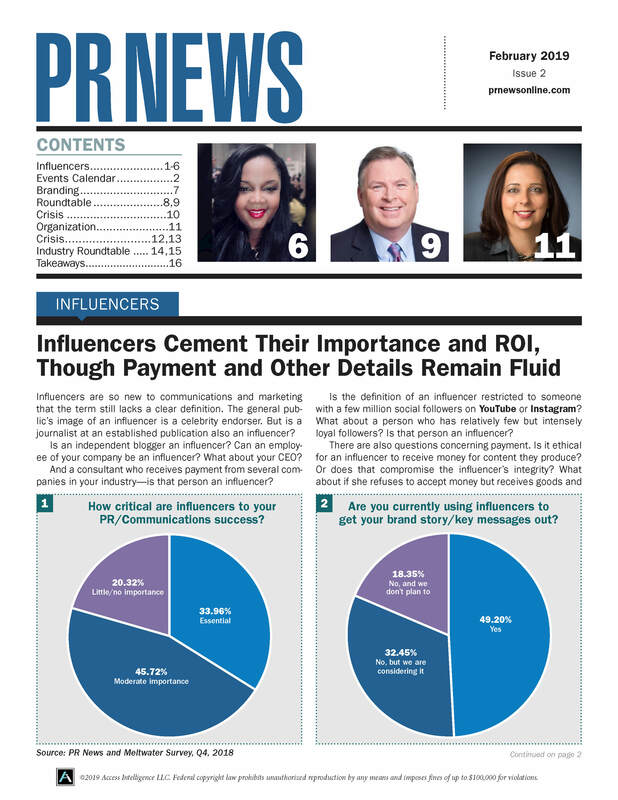 As you know, PR has shifted resources to brand content creation and digital services. The interviewer may be reluctant to give away too much of the company’s roadmap to a job candidate, but it’ll be important to identify a company that can evolve and won’t suffer from sticking to old techniques. So, while seemingly irrelevant interview questions like, “Would you rather fight one horse-sized duck, or 100 duck-sized horses?” may give interviewers deep insight into your untapped potential, remember it’s a two-way street. You have to ensure the company and job are good fits for you, just as much as the firm must determine if you will make a good employee.